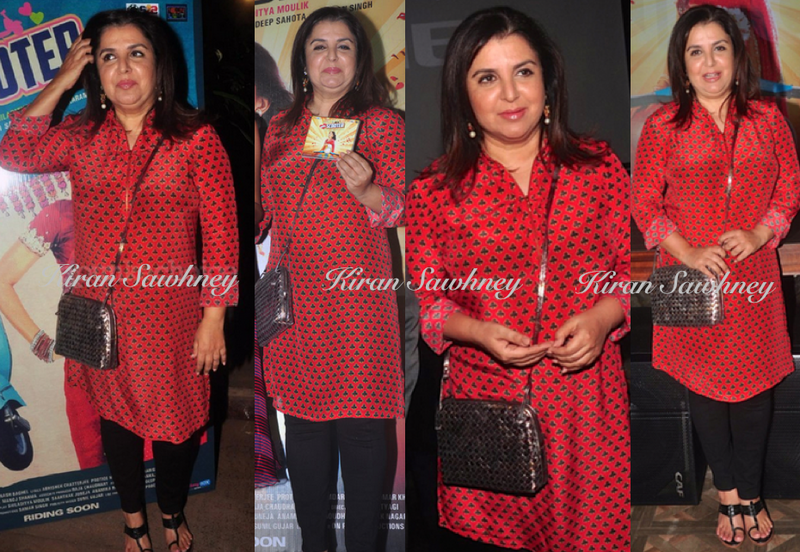 At the music launch for Mrs Scooter, Farah was seen wearing a Pankaj & Nidhi, red and black printed tunic. She paired the high low tunic with black tights, black chappals and a Bottega Veneta bag. Minus the chappals, she did good.